We are crushing hard on this Weaving Kit from Alchemy. 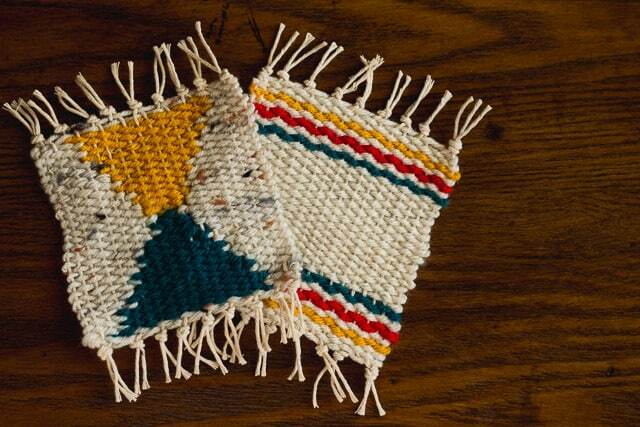 To get started on the basics, you can learn how to make our DIY Woven Coasters. Jacinda has her heart set on the Travel Watercolor Paint Set from Jerry’s Artarama. Throw a beautiful party topped with gorgeous crepe paper from Shop Sweet Lulu. Printmeneer has a variety of very cool cookie cutters, just like these Diamond Cookie Cutters. Put a modern twist on a handmade gift with Robert Kaufman Fat Quarter Bundle from Fabricworm. 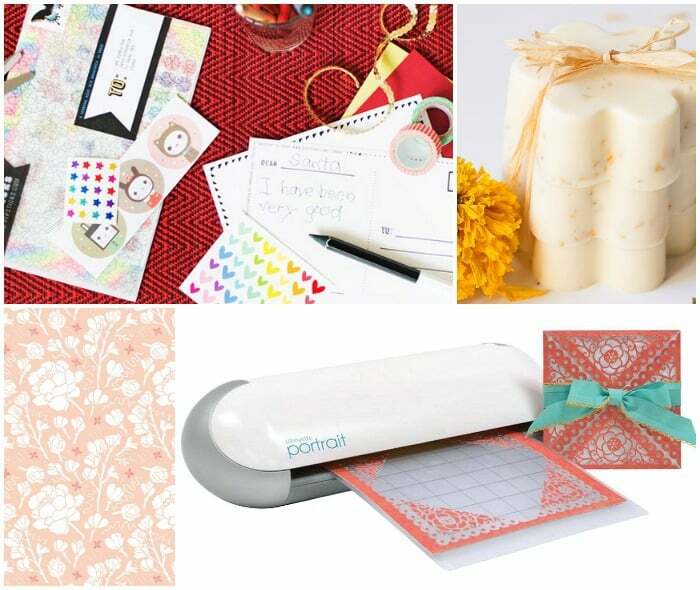 Everyday is a Holiday makes the prettiest stamp sheets perfect for a scrapbooker extraordinaire. Jaime and Jacinda both have this Le Pens Set from Amazon at the top of their lists. 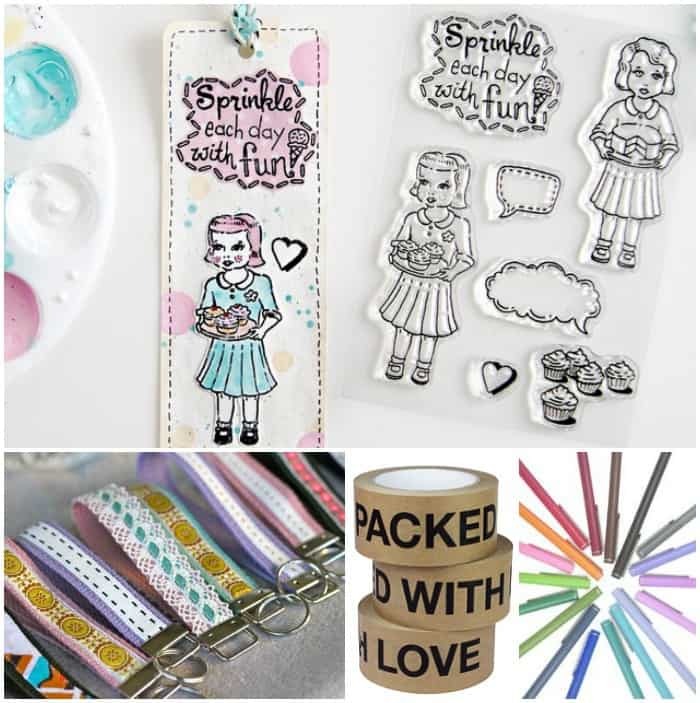 Packed with Love Paper Tape from DaWanda could make for a cute crafter’s stocking stuffer. A crafter can never have too many supplies. Replenish his/her stash of hardware by picking up this Key Fob Hardware from Amazon. Pick up a package for yourself to make our Decorated Wristlet Key Fobs to top off their gift. 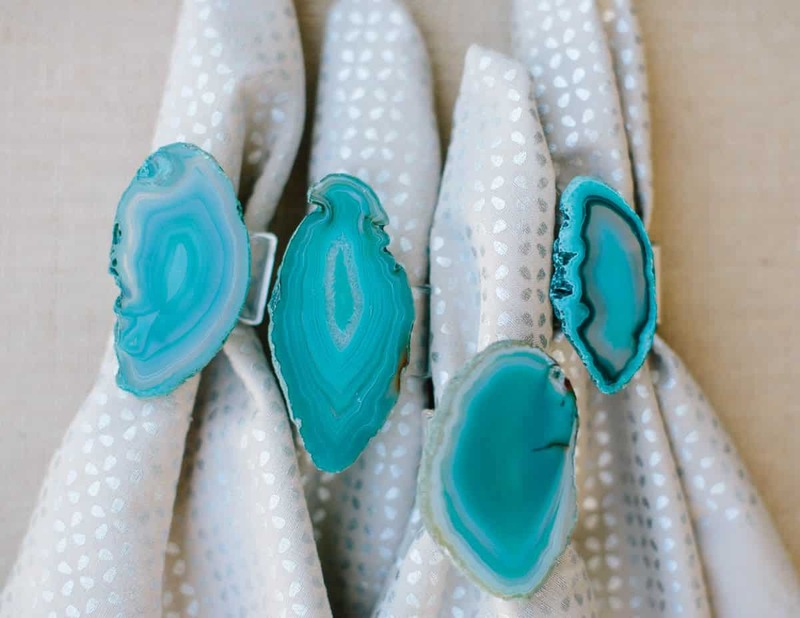 Order colorful agate slices from Pelham Grayson to use for easy crafts, like our agate napkin rings. Our hearts are set on indigo this season, and we definitely think some Indigo Washi Tape from Michaels should make it into our stockings (hint, hint). Along with the washi tape, Cape Cod Shibori has amazing collection of hand dyed shibori fabrics. I’d love to make our Fat Quarter Apron out of this Indigo Dyed Shibori Fabric. For the crafter who loves to repurpose, check out these hairpin table legs from Hairpin Leg Shop to turn any surface into a table. Get your hands on Jacinda’s Texas Modern Butterflies and Pastels fabric from Spoonflower just in time for gift giving. Get great deals on Silhouette supplies, as well as the Silhouette Portrait Cutting Tool, by using our promo code: PRUDENT. Did I mention that there is still time to enter our Silhouette Black Friday Giveaway? Enter now! Surprise a friend with a Pipsticks Sticker Subscription. They will receive a box of new and beautiful stickers each month. If you order now, you can receive the first month free on any Club or Family subscriptions if you enter the code PRUDENT at checkout! Jaime has been a huge fan of using Dan in Real Leather as a top source for buying real leather for her projects. 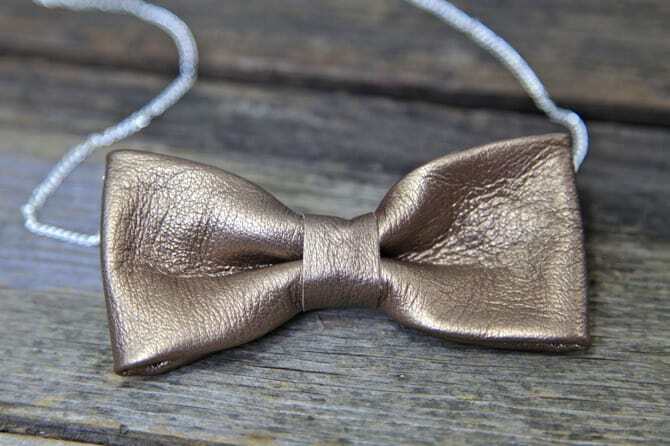 You can use the scraps to make a no-sew leather necklace. If you’re looking for an extra something special, considering getting your favorite artist a Chestnut Suede Sketchbook from Michaels. 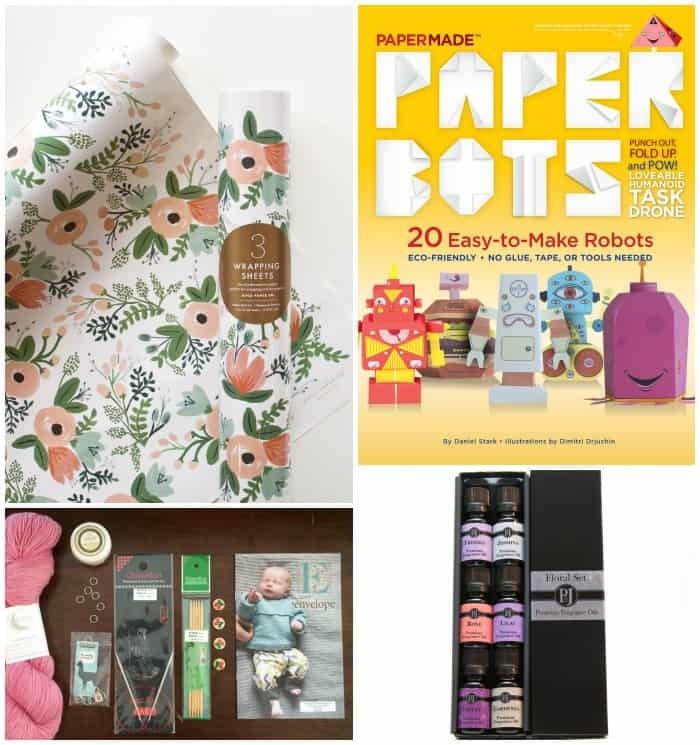 Whether you’re wrapping gifts, or know a crafter on the hunt for beautiful paper, check out the Wildflower Gift Wrap from Rifle Paper Co.
Add a copy of Paper Bots by PaperMade to their craft book collection. This book is great for crafting with the kids too. A Floral Set of Fragrance Oils from Amazon has definitely come in handy when we’ve been making soaps, like our Marigold, Lemon, and Honey soap. Order a Knitting Subscription Box (we are obsessed!) from PostStitch to give to a knitter you love. He/She will receive a knitting project in a box each month. You can get a peek at what comes inside their November LittleStitch Box in the photo above. Brighten up their holiday season with a touch of gold. 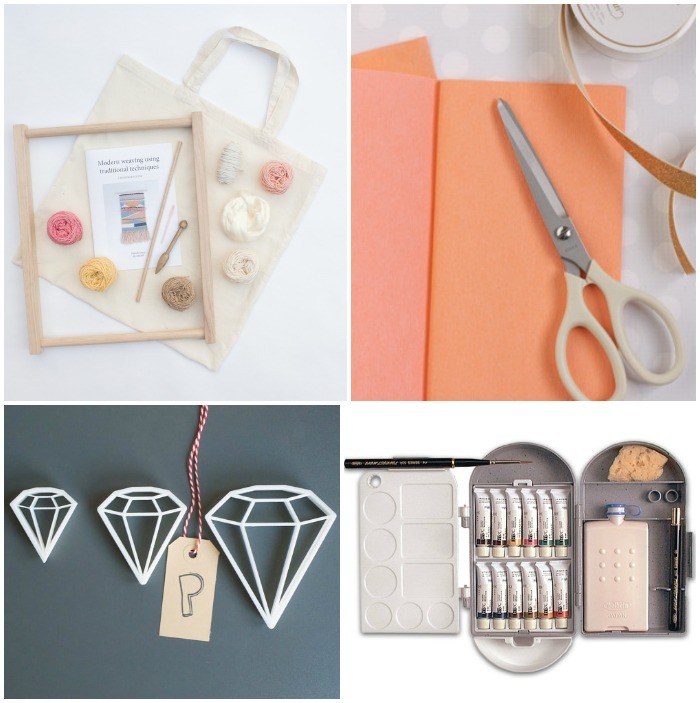 Fill your crafter’s space with an inspiration Be You print from Sugar Paper. New scissors are always one of my favorite craft gifts. Gift a new pair of extra sharp, and bright gold Gingher scissors from Joanns. These Gold Glitter Envelopes from The Wedding Invitation make for a lovely new addition to their stationary collection. 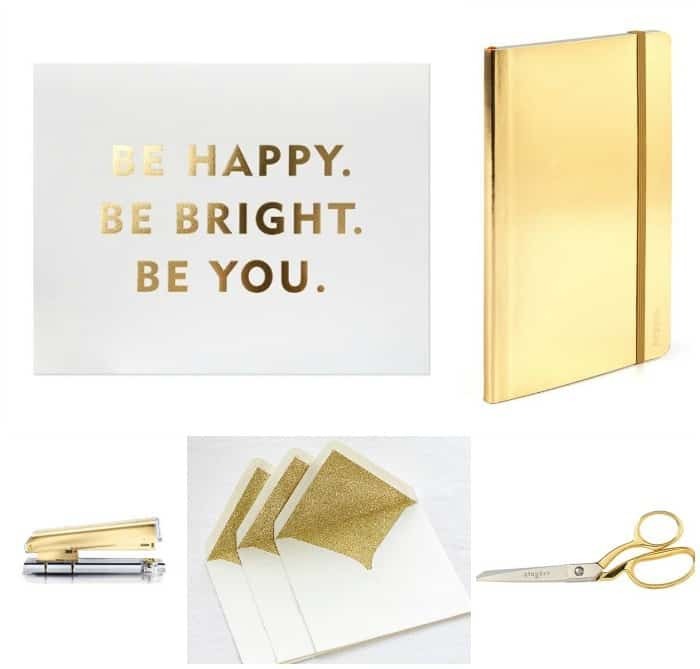 Jot down your bright ideas in Metallic Notebooks from Poppin. What an awesome list! Thank you for these ideas!